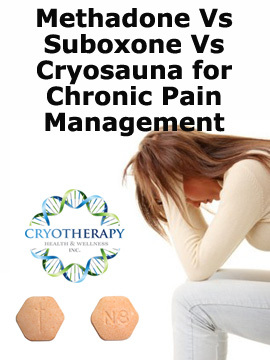 Home / Pain Relief / Whole Body Cryotherapy Side Effects – the Truth Revealed! When most people think of alternative treatment or natural therapies for pain management, they think of acupuncture or herbal supplements; but, there is one treatment that combines the effectiveness of natural analgesics with the reduced risk of side effects that methods like acupuncture are known for for a powerhouse solution to a wide variety of ailments. This treatment is called cryotherapy, but more specifically, whole body cryotherapy. It sounds like something directly from a science fiction movie or a mad scientist, however while the methodology seems far fetched, the results are anything but. 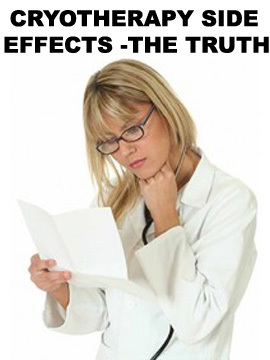 Unfortunately, the way in which the process works can make people uneasy and concerned about cryotherapy side effects. But there are some simple truths to quickly put questionable minds at ease about the use of cold therapy for pain management. The process, originally developed decades ago for arthritis pain management, is usually conducted in a device called a cold sauna or a cryo chamber. When pumped into the chamber, liquid nitrogen (or cooled compressed air) is rapidly cools down the skin’s surface enough to prompt internal healing responses and release endorphins for immediate pain relief, prompting beneficial defensive immune responses. The pain relief sauna treatment has been proven effective for a wide range of health conditions, and its used as a treatment for osteoporosis and arthritis, used by athletes after practices and games, and even being explored as an effective natural weight loss method and seasonal allergy relief. For all of these positive results however, there are still some concerns about cryotherapy side effects, and some individuals are well warranted in their hesitation. Want to learn more about Cryotherapy? The single most important thing to remember with regards cryotherapy side effects is that the use of the procedure is not for everyone. In order for cold therapy to be safe and effective, it should only be used by individuals who are not taking certain medications or those who have certain health conditions. Each person considering cryotherapy should also be evaluated by a doctor before doing so to ensure that they do not have any ailments that are known or underlying that can make cold therapy unsafe or dangerous. As long as there are no medical reasons that contribute to inherent danger, there are very few cryotherapy side effects to be concerned about. Most individuals experience none. Some experience a cold sensation following therapy, others may encounter a headache or nausea for a short time afterwards. Although freezing temperatures are afoot during cryotherapy, the risk of frostbite is mitigated by trained professionals who provide special garments to protect feet and fingertips as well as other sensitive areas of the body, however some people do experience a bit of external discomfort both during and after the procedure. In persons who have conditions like hypothyroidism, tuberculosis, respiratory diseases, heart conditions, nervous system diseases and blood diseases, amongst others, there is a greater risk of cryotherapy side effects and some of them can be severe or dangerous. Additionally, there is a greater risk of cryotherapy side effects in persons who are over the age of sixty five, those with substance abuse problems, persons with emotional disorders and those who have known problems with cold tolerance. These are examples of why screening before treatment are so critically important. One of the reasons that there are so few reported examples of cryotherapy side effects is that reputable and knowledgeable purveyors of the technology go to great lengths to ensure that it’s safe for every individual based on known and discovered information before use. Cryotherapy is becoming increasingly popular thanks to the social media, TV, Tony Robbins, Joe Rogan, Hollywood celebrities, elite athletes, and cutting edge medical research. See our In the Media page for some examples of where this well known cold sauna treatment has been featured. You can also find links to numerous clinical studies proving the effectiveness of Whole Body Cryotherapy procedure and little to no side effects on this page. The therapy is becoming more popular in Canada, and it’s more common now to find cold therapy saunas at sports injury clinic Toronto locations, as well as at our Cryotherapy Health and Wellness Inc. center. 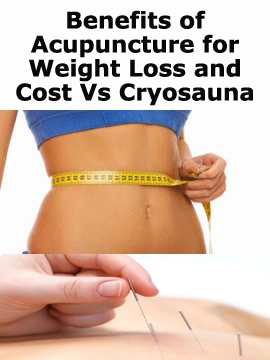 However, while the out-of-pocket cost of cryotherapy may keep some from giving it a try (see our Price List page) because it is not yet covered by medical insurance companies, this natural treatment has recently become more affordable and is believed to be worth every penny for its short and long term health benefits. I have done 6 sessions for knee pain, it has really helped, but had a few side effects. One was a rash for a few hours after. This has gotten better and less, so I’m not ready to give it up. Has Cryotherapy ever been used to treat and cure DSAP?